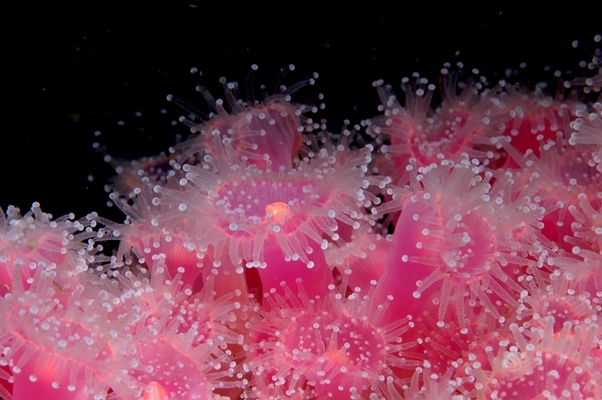 The Marine Biological Association has produced a set of verification rules for sea anemones and soft corals which are now available for use in NBN Record Cleaner and iRecord. Spatial distribution and identification difficulty rules have been produced for 92 species from the class Anthozoa which occur in the seas around Britain. The MBA has over 125 years experience in the collation and management of data and in delivering advice on the marine environment to policy makers and the public. The MBA Knowledge Exchange Team have considerable experience of conducting sensitivity assessments for marine species and habitats, and the MBA data team played a pivotal role in creating the MEDIN (Marine Environmental Data Network) discovery metadata standard and the MEDIN Marine Biological Data Guidelines. The MBA Data Team has already produced Record Cleaner verification rules for nearly 600 of the UK’s marine species, focussing on protected and non-native species. This work was funded under the Defra contract for development of the NBN.